Questions about Kichler Lighting 42431AP? 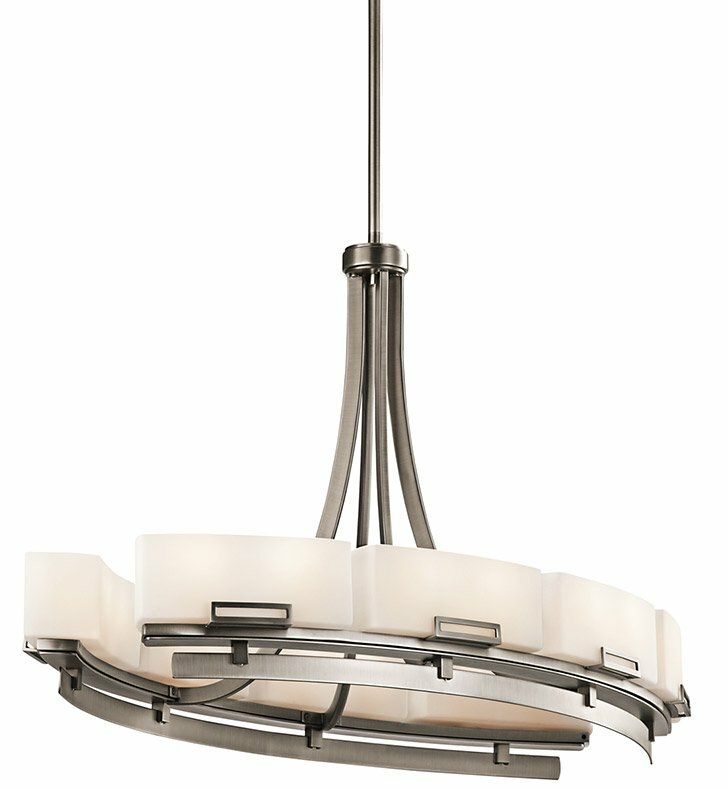 Constructed from steel, this 16 light linear chandelier from the Leeds collection pairs traditional form with updated detailing to create a unique composition. Showcased with an Antique Pewter finish and distinctive Satin Etched Cased Opal Glass, this design will deliver an elegant touch to any space. Dimensions: H 22 3/4" x W 21"